When will this pack be finished? Well, uh, here you go. Hopefully diSCo doesn't come back from the grave to sue me for distributing a modified version of his pack. There are probably a lot of other things I also changed. Mainly the only new things are the GUI, mobs, and particles. If you decide to use it let me know how it is, if there's anything I should change. I probably won't do the items, at least not for a while. It looks great! Thanks so much. I need diSCo to finish the dumb items. I'm trying to do them myself but I'm just so damn *un*-creative :D.
I realy like what you did for the 1.9 stuff... the only thing i dont line is the crosshair...I like the original better but the one you have made is more OCD if you know what i mean. Also, some of the mobs and blocks have 2x2 width limbs, so it's not really an easy task to outline them. Some of them I tried to doone outline on the side of each piece but some i only did the tops and bottoms of the limbs, some no outline at all. Let me know if you think those bits should be changed. Thank you to everyone keeping this thread active! We all love this pack! Keep it alive! The download doesn't work for me could you re-post? I added in the new 1.10 blocks and mobs. As always, subject to change and looking for suggestions. If you haven't seen me in this thread before, I slapped in some OCD style textures to update for 1.9+. 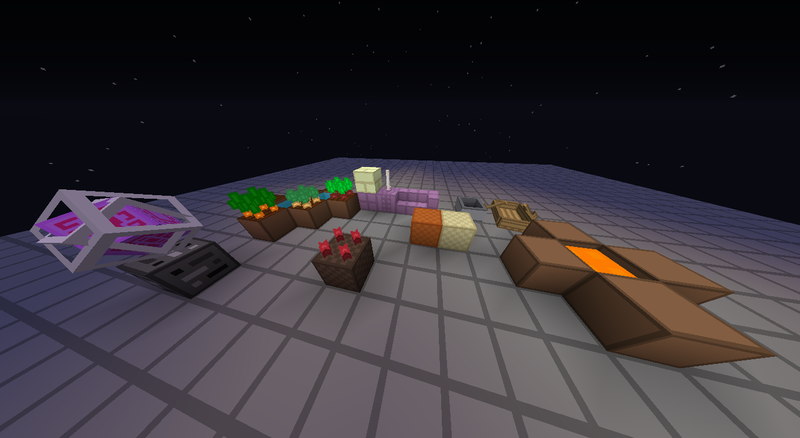 Including GUI, particles, mobs, and even an english font. The pack is massively still Disco's original work, I simply added missing textures and changed just a few I felt needed better communication. All inventory items should have new icons and textures, only one I left is redstone dust because I kept confusing myself. Made the magma match netherrack and lava better so that it fits with the tone in the nether. Reduced the coverage of the armour so that you can actually see enough of a players texture to identify them. Redid all of the tools and weapons with the correct .json information so that they look proper in 1st and 3rd person. Added some acacia specific leaves. Fixed a model issue with hoppers. Still to do: Enchanted arrow icons. More new GUI graphics. Better textures for cats. Texture for structure blocks. Probably something I am not thinking of.